Panathinaikos have officially signed former Olympiakos man Nikos Vergos in a bid to aid their forward stocks. AGONAsport looks at his fascinating career to date. 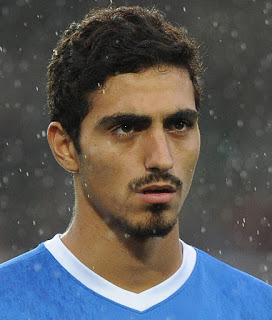 Vergos was born on the 13th of January, 1996 in Kilkis. Growing up, he played for Alexandros Kilkis and Doxa Chersou in the region of Macedonia. His natural talent did not go unnoticed, with scouts of several Greek clubs quickly spotting him. However, he opted to join Olympiakos in 2009 as a 13 year old, favouring a move south to further his young career. Panathinaikos and PAOK were also interested. At the tender age of 17 and a half, he played in the UEFA Youth League (Youth Champions League) for the Reds against Paris Saint Germain. He then scored his first goal in the competition later in the tournament. In the same year (2013), he made his first senior appearance for Olympiakos in a Greek Cup fixture against Fokikos as a substitute. The calendar year of 2013 only proved to be the beginning of Vergos’ rise. On the 23rd of March, 2014 he announced himself on the global stage in the Round of 16 of the UEFA Champions League against Manchester United no less. He replaced David Fuster in the 82nd minute as then manager Michel was a big fan and not scared to throw him onto the big stage. He ended the season on a high, making a host of senior appearances for an Olympiakos side that won the League. He scored his first senior goal on the 26th of March, 2014 in an away game against Asteras Tripolis with a powerful header. The next season was not to be as successful, as he only made a handful of appearances in the Greek Cup whilst still remaining a key player in the UEFA Youth League where he featured against the likes of Atletico Madrid and Juventus. In season 2015-16, he signed with Elche in Spain’s second tier, making a handful of appearances and only scored twice. At 19, he was deemed not to be ready for the step up into a permanent spot in the first team at Olympiakos. Once again next season, Olympiakos thought he was not ready to be a first team regular. 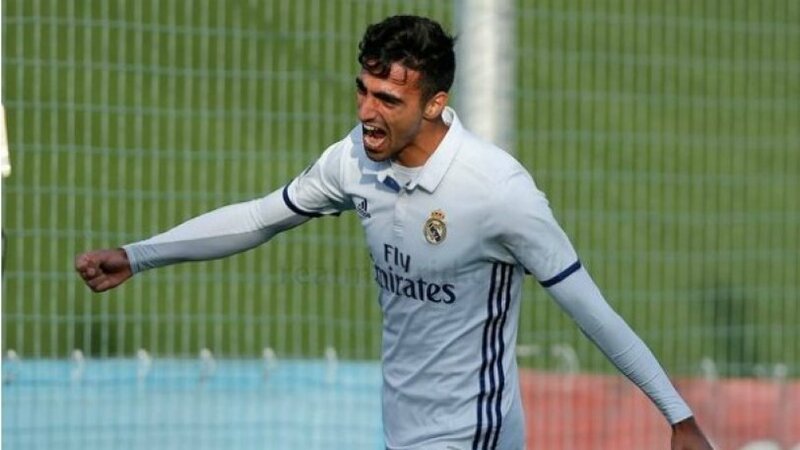 This led to Vergos pursuing the dream of a lifetime and signing with Real Madrid Castilla (the B team of the Spanish giants). He was never going to play for the first team but nevertheless, no other Greek his age can lay claim to the experience of honing his skills at one of the biggest clubs on the planet. The season-long loan proved to be a major success as Vergos left a positive impression by virtue of making 25 appearances and scoring on 5 occasions. He had the honour of participating in training with the likes of Karim Benzema, Cristiano Ronaldo, Marcelo and Luka Modric, with Zinedine Zidane overseeing it. By 20 he could lay claim to playing at the Theatre of Dreams (Old Trafford) and training with the Galacticos of Real Madrid. His next career move was perhaps baffling and can be perceived as a bit of a step in the wrong direction. He spent all last season on loan at Vasas in the Hungarian league. He only made a paltry 4 appearances and failed to find the back of the net. Upon returning to the Reds, he failed to make an impression on new manager Pedro Martins and as a result, had his contract terminated by mutual consent. Vergos was never going to have any trouble in finding a new club for the new season. Lamia and Asteras Tripolis were heavily linked, with the former thought to have all but signed the forward. However, Panathinaikos Technical Director Nikos Dabizas swooped at the last minute using the connections with his former club wisely. The Greens can sign an unlimited amount of Greeks under 23 and Vergos fits the criteria. 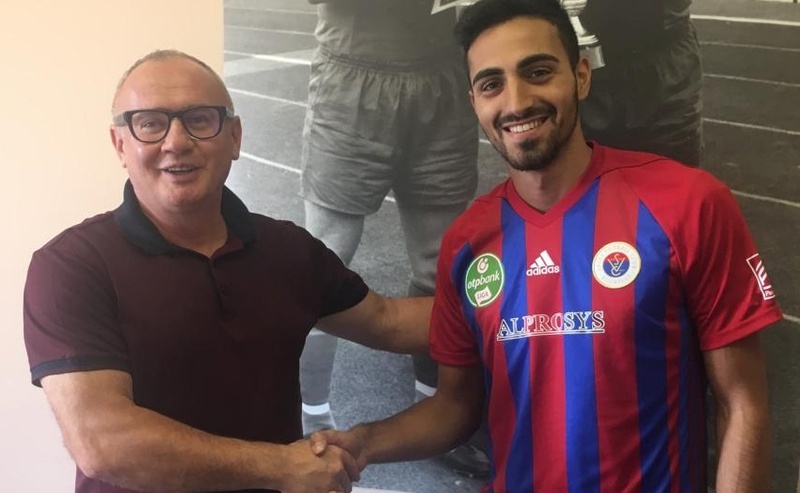 Dabizas continued his trend of signing players on free transfers rather than loans as Panathinaikos can cash in on these low-risk new recruits if they prosper. They can be sold for relatively big fees and this would undoubtedly aid the Greens’ bid to become more self-sustainable moving forward. Vergos is relatively experienced for a youngster. He must bring that to the fore in a young, new-look Panathinaikos team where he will get his chance to cement a spot in the first team. Playing with like-minded youngsters at Panathinaikos paves the way for the player to resurrect what was thought to be a promising career only a few years ago.